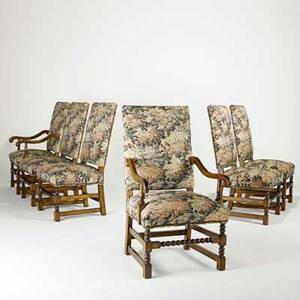 113587: BOEHM BISQUE 'CACTUS WREN', H13"
French, Early 20th century. 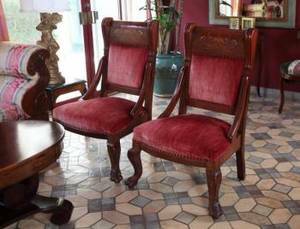 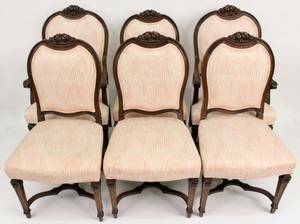 Set of six matching Renaissance Revival style dining chairs composed of walnut. 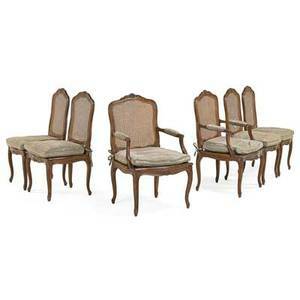 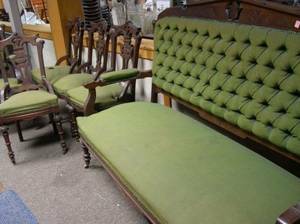 Set includes two armchairs and four side chairs. 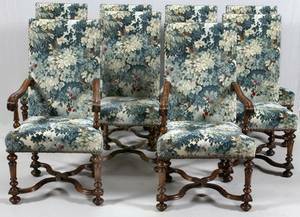 Each with floral carved crests and pink and white patterned fabric upholstery on seats and backs. 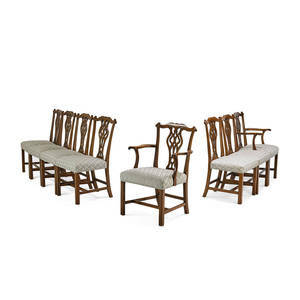 Chairs raised on carved front legs and support and supported with X frame stretchers. 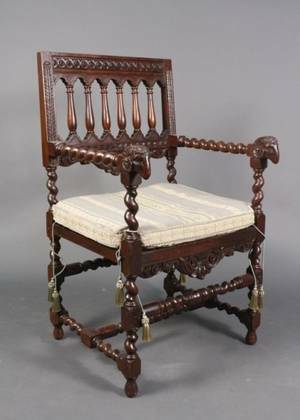 Height of armchair 43", width (across arms) 24". 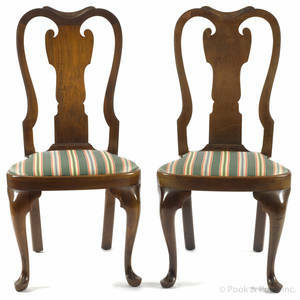 Height of side chair 41.25", width 21.5". 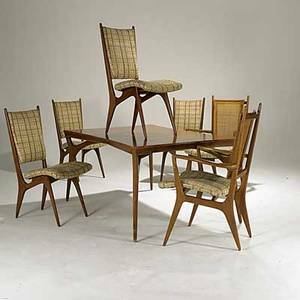 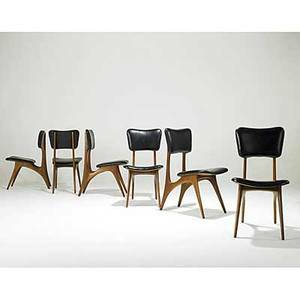 Set of six william and mary style dining chairs; four side- and two arm- with walnut frames and tapestry upholstery, 20th c.; armchair: 45" x 25" x 27"
Vladimir kagan; six walnut and black leather dining chairs; kagan-dreyfuss factory tags; 34" x 17 1/2" x 26"
Set of george iii style dining chairs; eight: walnut with pierced splat on pad feet comprising two armchairs and six side chairs; 38" x 22" x 19"
Louis xv style dining chairs; six: walnut with cane seat and back, 20th c.; 40" x 23" x 21"